Believe that anything you can imagine you can achieve it real. Having the devotion,passion and dedication to learn & Work in Oracle field mail me @ rafidba.alvi@gmail.com. "Knowledge grows when it is shared". Best Career related guidance in Oracle DBA,Oracle Apps DBA,Oracle SOA Admin/Developers,ODI Developers,OBI Developers and Oracle Designers. "A Catalyst for Oracle DBA & Apps DBA Interviews,Jobs & Career." Below are the steps required to be done in order to migrate Oracle ERP Applications from one server to another. These steps are successfully tested in my Test Oracle ERP Servers. Note 4:Make sure you change the source server name and assign the same name to target Windows server in order to have backup of source Application server and not much changes is required in CONTEXT FILE if you have same Drives on Source and Target Application server. Note 5: Please change server names,Directory structure and Environment files based on your servers. as one need to spend some time in order to do this activity successfully. 1. Install MKS Toolkit on Target Server( we can also install CYGWIN ) . It is recommended to install MKS from Oracle Support. 2.Install VISUAL Studio of same Windows OS version(2008 R2). connected means it is working fine, if it says trying add the firewall rules and allow port and try again. 4.Modify PATH Environment variable to execute perl K:\oracle\apps\tech_st\10.1.3\perl\5.8.3\bin\MSWin32-x86-multi-thread; => In First line and remove rest of the variables if exists. (Run as Administrator on new command prompt). 8.Verify logs of adcfgclone and confirm no errors exists. 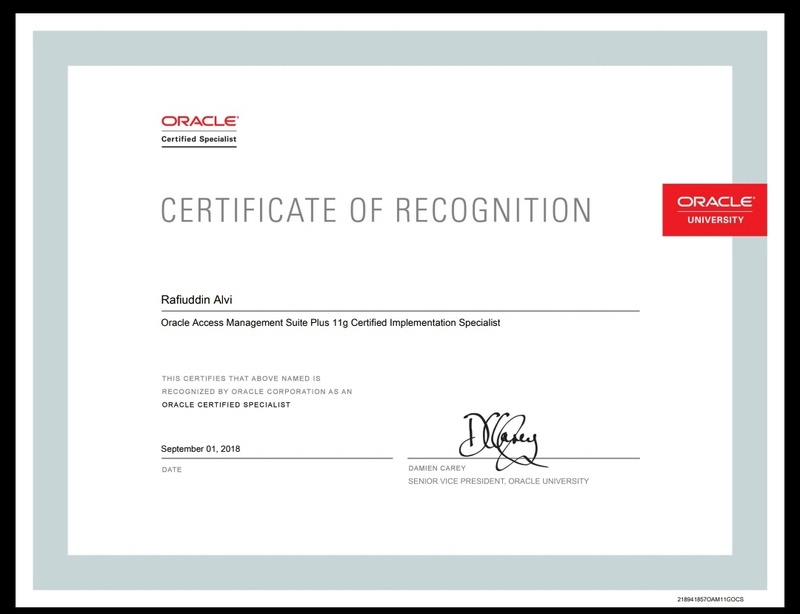 Completed Oracle Access Manager Implementation Specialist Certification. By the grace of Allah I have completed Oracle Access Manager Implementation Specialist Certification. 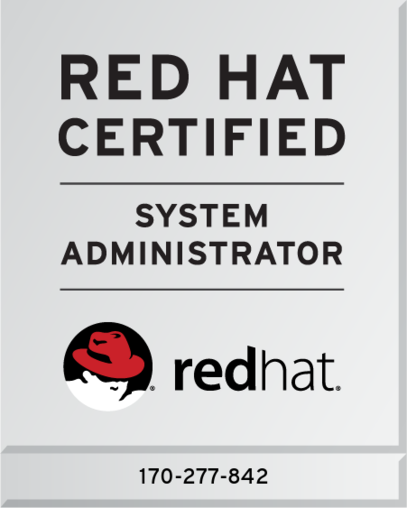 It feels great to do certification on one of the Product which you work more and practice lot . After doing lot of hard work and with lot of enthusiasm I'm happy to achieve it. 2) The challenging part about this certification is we need to study about lot of products like ( Oracle Access Manager,Oracle Adaptive Access Manager, Oracle Entitlements Server, Oracle Identity Federation, Mobile and Social ) to name few if you are planning to prepare for this certification and pass it. 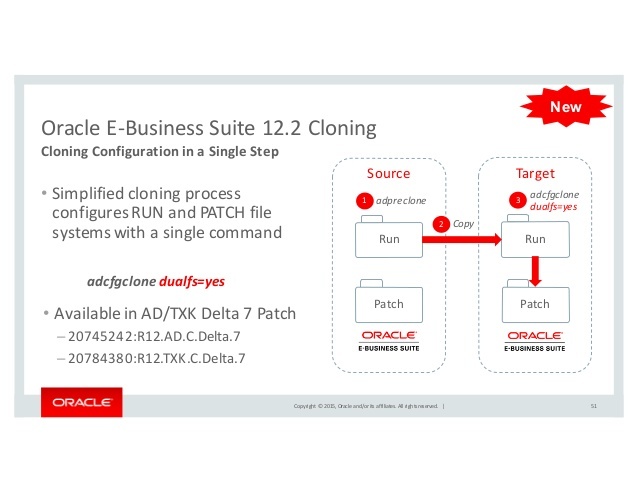 Cloning of Oracle ERP Database and Applications for Oracle EBS 12.2 ( 12.2.x) can be done in several ways. Below I have described one such scenario. Based on the backup policy and customization you have for your Oracle EBS Environment steps might vary . Here I just documented based on my experiences. To prepare the source environment for cloning we need to run adpreclone.pl script. Step 5:On Target: Extract and give required permissions. I created oraInventory directory in $ORACLE_HOME and updated new location in oraInst.loc and the issue resolved. Provide the values required for creation of the new Database Context file. Check Clone Context logfile /u01/erp1226/db/dbhome_1/appsutil/clone/bin/CloneContext_0204213607.log for details. We can use various techniques for cloning depending on the backup policy and availability of Database. Here I have discussed few approaches. Please follow your own approach depending on backup you have. This file will be used for identifying missing bugfixes. This file will be used for mapping bugfixes to patches. Database release set to 11.2.0.4. Copyright (c) 1982, 2011, Oracle and/or its affiliates. All rights reserved. shut immediate the ERP122_Source database which is running already. Once the Database is recovered verify the Datafiles,Redolog files. Create temporary tablespace and make it default. Restore controlfile using RMAN from backup location taken earlier. Verify 3 Redo logs Groups exists. This completes the database restore and recovery. Now the Database is up. We need to Source the Environment and complete the post clone steps. AutoConfig will consider the custom templates if present. Execute package body APPS.WF_CLONE . • "Do you want to add a node (yes/no)", enter the value as 'no'. • the new port pools for the Run Edition File System and the Patch Edition File System need to be provided. if there are other pending actions which need the Application services to be down. Provide the values required for creation of the new APPL_TOP Context file. UTL_FILE_DIR on database tier consists of the following directories. Check Clone Context logfile /erpapp/erp1226/fs1/EBSapps/comn/clone/bin/CloneContext_0205214743.log for details. Check Clone Context logfile /erpapp/erp1226/fs1/EBSapps/comn/clone/bin/CloneContextPatch_0205215144.log for details. Copyright (c) 1997, 2003, Oracle. All rights reserved. Disable Workflow Notification Mailer. Set the override address from OAM. Purge pending notifications. c) Change the URLs previously in Context File configured for Load Balancing in PROD and run autoconfig. Step 12: Post clonning steps after Application Tier cloning. Execute cmclean.sql by connecting with 'apps' user. Shut down the Application tier services. 1)Check all the Concurrent managers are up and reduce the number of processes for Standard managers. 2)Submit the Active user or Active Responsibilities Concurrent request. 3)Check the discovererer URL for viewer and Desktop and share DBC file with team. This completes clonning of Database and Applications for Oracle EBS 12.2 . Hi DBAs, This is Rafi here working as Senior Oracle DBA & Apps DBA since 10 yrs +.Learning ORACLE is my passion.I have worked on Solaris,HP/UX,IBM-AIX,Linux and Windows platform.PL/SQL is my favourite programming language followed by perl.I'm excellent in shell scripting and shell programming.I'm passionate about working in Oracle RAC,Performance tuning,SOA,APPS 11i/R12 and Oracle IDAM technologies.My activities involve working in Database,Applications and Fusion Middleware Design methodologies like SOA,ODI and Oracle IDAM technologies. "Dreams are not those you see while sleeping,Dreams are those that don't let you Sleep". I dedicate this Blog to MY WIFE,LOVELY DAUGHTER,SON & Oracle Experiments,Interviews & Practices.